St. Valentine`s Day is considered one of the most romantic time of the year and choosing the perfect present for you girlfriend, fiancé or wife can be a real challenge. We`ve tried to help selecting for you our sweetest and most beautiful Heart Gift Sets to make things easier and make sure you will amaze her! 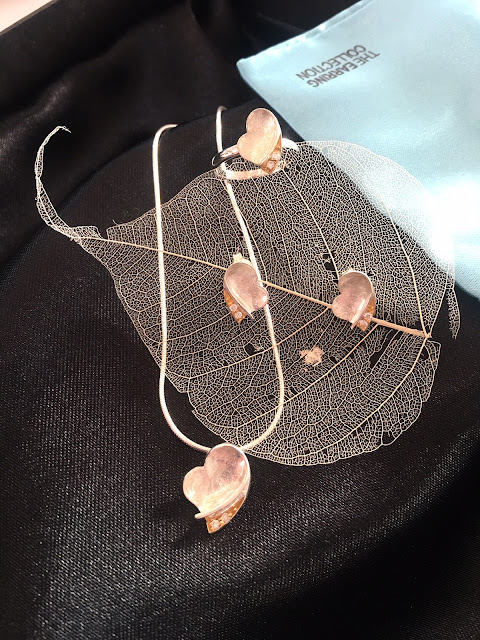 Each Set is hand-made especially for the earring Collection in Hallmarked solid Sterling Silver and comes with unique designs. Besides, they all come beautifully presented in gift boxes with silk ribbons - ready to be given and received. 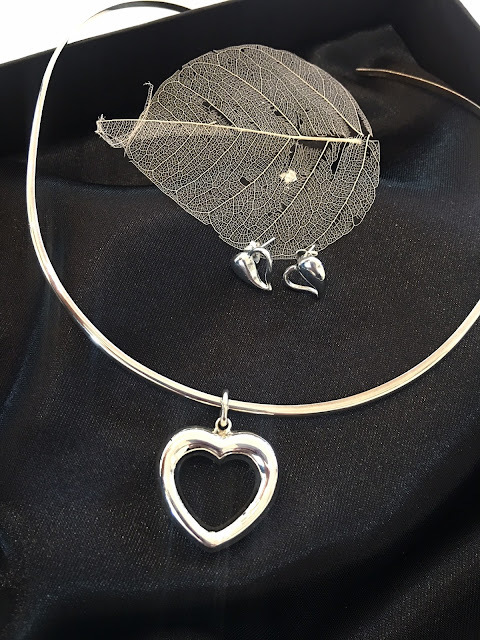 This gorgeous Heart set comprises Sterling Silver stud earrings and matching pendant on our Hallmarked thin silver collar - all presented in a beribboned gift box - all this for £96. 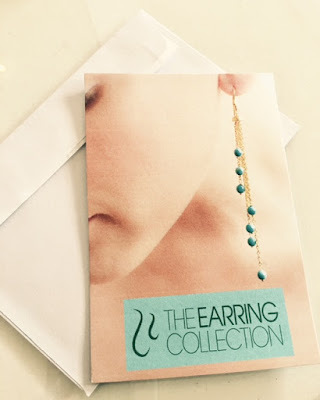 This elegant Sterling Silver, Gold Vermeil & White Zircon Heart set comprises stud earrings, a matching pendant on a fine Italian snake chain and a beautiful ring, all presented in our lovely gift box. A real silver suite for only £146. A superb suite in Sterling Silver and Rose Gold Vermeil. With this lovely Heart set you will have a pair of drop earrings in brushed silver and rose gold vermeil, one of our thick Hallmarked silver collar and a matching brushed silver pendant. Just fabulous (and fabulously gift-wrapped), 172. Open Tuesdays, Thursdays, Fridays and Saturdays (Closed Mondays, Wednesdays and Sundays). Open on St. Valentine`s Day.